By Peter Anderson 5 Comments - The content of this website often contains affiliate links and I may be compensated if you buy through those links (at no cost to you!). Learn more about how we make money. Last edited December 13, 2018 . Every once in a while my wife and I go over our regular monthly expenses and find places that we can cut back. What subscriptions are we paying for that we don't use anymore? What services are we paying too much for, and what are our alternatives? 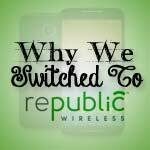 Back in 2014 we discovered that we could lower the cost of what we were paying for our cell phone service by switching from one pre-paid provider to a new low cost provider called Republic Wireless. 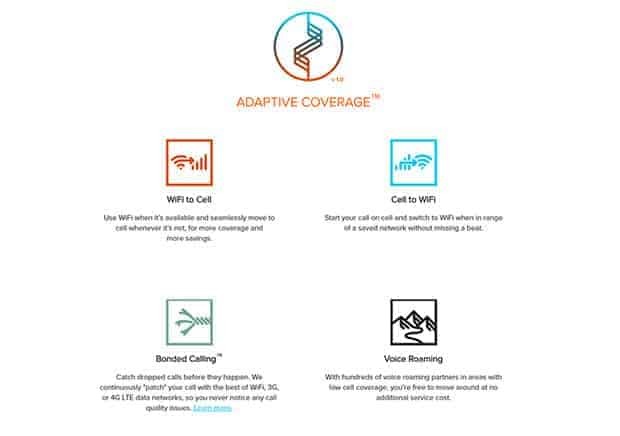 Republic Wireless was cheaper than many other providers because of their pioneering WiFi hybrid calling technology, where they route calls over WiFi instead of cell networks when it is available. Since they've come on the scene, many other providers have jumped in on the act and have tried to come up with their own version of low cost WiFi calling. The only one to come close in my opinion is Google's Project Fi, which also uses a version of hybrid Wi-Fi calling. While their service is similar, I've found it to be more expensive still, for my level of usage. Some have said that Google's service was better for higher users of data, and that they had a better selection of phones (currently Republic only has 2 lower end phones). This week Republic Wireless announced some big changes to their service, including the launch of 7 new unlocked phones, the ability to bring your own device to the service, a new network partner as well as launching new calling plans. First, let's take a look at the new phones. Republic Wireless announced that coming this July it will be releasing 9 new Android phones from four of the top five Android manufacturers. 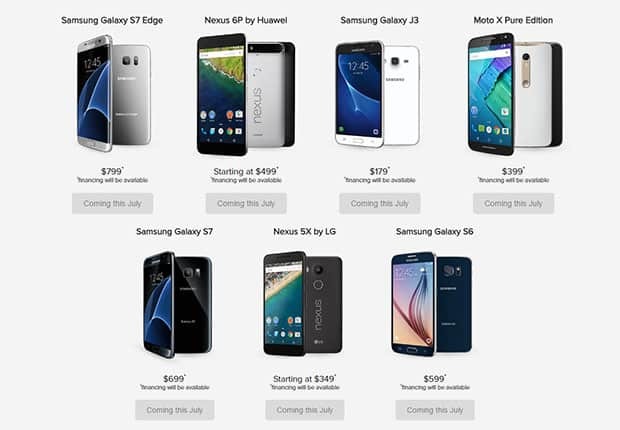 Some of these phones will look familiar as several of them are the same ones that you'll find on Google's Project Fi. Samsung Galaxy J3 (2016) – $179: 5.0″ HD Super AMOLED Display, 16GB Capacity w/ SD slot, 1.5GB of RAM, 5MP Camera, 2MP front facing, Removable Battery. Google Nexus 5X by LG – Starting at $349: 5.2″ FHD Display, 16GB & 32GB Capacity, 2GB of RAM, 12.3MP Camera, USB Type-C & Fingerprint Sensor. Moto X Pure Edition – $399: 5.7″ Quad HD IPS Display, 32GB Capacity w/ SD slot, 3GB of RAM, 21MP Camera, front facing flash. Google Nexus 6P by Huawei – Starting at $499: 5.7″ Quad HD AMOLED Display, 32GB, 64GB, or 128GB Capacity, 3GB of RAM, 12.3MP Camera, USB Type-C & Fingerprint Sensor. Samsung Galaxy S6 – $599: 5.1″ Quad HD Super AMOLED Display, 32GB Capacit, 3GB of RAM, 16MP Camera, Fingerprint Sensor. Samsung Galaxy S7 – $699: 5.1″ Quad HD Super AMOLED Display, 32GB Capacity w/ SD slot, 4GB of RAM, 12MP Dual Pixel Technology Camera, Water Resistant & Wireless Charging. Samsung Galaxy S7 Edge – $799: 5.5″ Quad HD Super AMOLED Dual edge Display, 32GB Capacity w/ SD slot, 4GB of RAM, 12MP Dual Pixel Technology Camera, Water Resistant & Wireless Charging. So the new phones will range in price from $179 Galaxy J3 all the way up to $799 Galaxy S7 Edge. There's a phone for every budget! 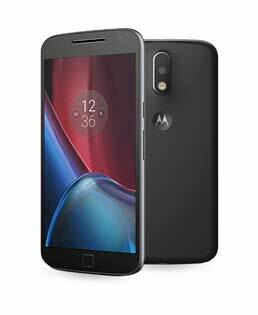 Motorola Moto G4 – Starting at $199: 5.5″ Full HD display, 16GB or 32GB storage w/ expandable memory up to 128GB, 13MP Camera, 2GB RAM, Charge fast with TurboPower™ (up to 6 hours of power in just 15 minutes). 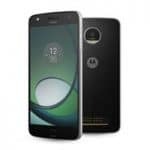 Motorola Moto G4 PLUS – Starting at $299: 5.5″ Full HD display, 64GB storage w/ expandable memory up to 128GB, 4GB RAM, 16MP Camera, Fingerprint reader for quick security. On RW 3.0, you can take an off-the-shelf unlocked device (from Republic’s tested and approved list, for example, the Samsung S6), pop in our Republic SIM card, download our Republic app, and receive the same great Republic experience in just a few minutes that used to require us to do many months of deep ROM integration work in tight partnership with the device manufacturer and cellular carrier partner. Because we no longer need to do this deep integration and certification work with the device manufacturer and cellular carrier, we can now add more device manufacturers beyond just Moto, launch new phones at the same time as everyone else, deploy operating system updates much faster, perform updates to our service and apps as fast as we want (via Google Play), lighten our supply chain inventory requirements, increase the places our members can buy our services (think Amazon and other places where unlocked devices are sold), enable members to take their devices with them to other carriers if they are leaving Republic. Much of the technology that Republic is using to do WiFi calling, adaptive coverage and more was previously baked into a custom Android ROM on the phone, which meant the phone wouldn't be usable on another service if you ever decided to leave – and you couldn't bring your own device to the service. With updates available in Android M and advances made by Republic engineers, they can do all the same things they did previously, without having to use a custom ROM. They can now do it with the app alone, which means quicker updates, and the ability to use unlocked phones. All this to say you can now get a wider range of phones, many of them at the same time as other providers release them – and you can buy and bring your own phone to the service. Awesome! In addition to now having a much wider range of phone options available, Republic will now also be working with another network partner. They launched and have been functioning as a Sprint MVNO since their inception, but with the new RW 3.0 they'll also be partnering with what they're slyly calling “The Magenta Network”. That most likely means T-Mobile. With the launch of the new phones it sounds like the new phones will be using service with the “Magenta Network”, but they hope that later in the year they'll be able to use both that GSM network, as well as Sprint (once Sprint is certified for RW 3.0 service). Last July Republic Wireless released the refund calling plans, in what they're now calling the 2.0 version of their service. With RW 2.0 they offered several calling plans that were based on the idea of refunding the customers for mobile data that they don't use. 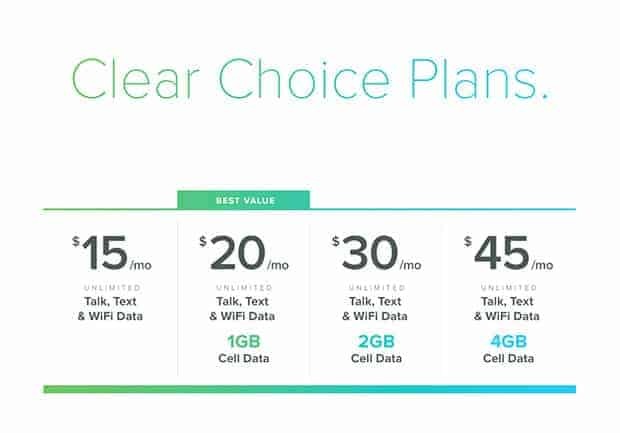 You could have the $5 WiFi only plan, $10 cell/text only plan with no mobile data, $17.50 plan with 500MB of data, $25 1GB of data and on up from there. Whatever data you don't use of your purchased plan, you'll get a refund. I've been using the $17.50 plan since last July and I've gotten a refund every month since then. I'm not a big user of data, and I'm paying anywhere from $16-17/month for my phone, usually with a small refund. I can't complain, it's been a great deal for me for sure! At first they only unveiled the plan that they thought most people would use, the unlimited talk & text + 1GB of LTE data for just $20. It is an amazing deal, and $5 cheaper than their current 2.0 1GB data plan! Personally I've noticed that the quality of calls and handovers has been improved in the past month or so since some of these features like “bonded calling” went live. I'm sure it will continue to improve over time. There are some exciting things coming down the pipe for Republic Wireless. Not only are they releasing 9 new phones, a new network partner and improvements to their adaptive calling technology, but they're also releasing some great new calling plans as well. 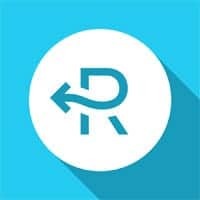 My wife and I have been extremely happy with our experience as subscribers to the Republic service for the past year and a half or so, it has saved us a bunch of money, and has consistently been good service for us. With this past week's announcements, it definitely sounds like things are only going to continue improving. These announced changes could help Republic to take the next step away from being just a niche player in the industry, to becoming one of the best low cost cell providers on the market. If you're considering jumping on board with Republic Wireless you may want to consider jumping on board now that the new phones and calling plans have been released! If you've used Republic Wireless, what has your experience been like? Have questions that you'd like answered about Republic? Speak out in the comments! Yes I’ve been very happy with Republic too. I have 2 of my kids on it and they just bought new Samsung Galaxy J3 phones and are happy with them. I was a little disappointed that I couldn’t get the 500MB plans on those new phones, but $20 for 1Gig is very reasonable. I assume the latest plans don’t refund you for unused data, that’s a bummer. I might buy one of the new phones for myself for Christmas – I seem to keep running out of space on my phone and it does not have expandable memory. I think the refund plans have gone away for new phones, although if you’re on it for an older phone you can keep it for now. I may end up taking the leap on a newer phone sometime in the next few months too, although my 2nd gen Moto X is still treating me pretty well. For the moment, Google Fi is still offering the Nexus 5X at $199 (16GB) and $249 (32GB). That’s a significant savings over Republic’s price, it’s an unlocked phone, and there is no obligation to stay on Fi. While Fi’s plan price is a bit higher ($20 + $10/GB, i.e. $30/mo with 1GB), they do still refund the unused portion. I’ve been very happy with Fi since leaving Republic, especially because Sprint’s service in my area is poor, T-Mobile is much better. After Republic gets 3.0 up and running smoothly with the new provider, maybe I’ll switch back. Thanks for the update on Fi prices for unlocked phones. I’ve found that you can probably find several of the Republic phones for prices lower than Republic offers them. Thankfully they allow you to bring your own device now. We switched to Republic back in 2014 based on all the money blogger hype. We completely regretted it!!! 6 months after we switched, most of the “big 4” carriers dropped their rates and were barely more. I can see how Republic would make sense for the baby boomer who wants to get started with a smart phone. But we are heavy data users and signed up for the unlimited plan. We had constant dropped calls, the Sprint Network was very limited relative to our previous network. The wi-fi calls were too quit and had a terrible echo. My wife and I didn’t get texts from certain friends after switching as well. We would drop calls all the time. I remember having phone interviews and being so nervous the call would drop or sound poor. And while you can email customer service, it was such a hassle. This day in age, a power user can’t afford to wait 24 for instructions on “things to try” to solve you issue. Often times the instructions were really bazaar “hold down these 3 buttons, wait 10 minutes, clear cache…….and maybe it’ll work.” Finally we just said enough!!!! We switched to Verizon and only pay $10 more per month. Sorry for the rant. I just felt so misled because the entire blogging community swore by them, and none of these issues are ever brought up. Once again, would be a great service for my grandma that needs to read the news and email, but not great for any sort of data power user (2G+/mo). A smartphone is just too precious for many people nowadays, I found that you get what you pay for. Next Post: Does Increased Giving Mean Greater Blessings From God?